We like cover a variety of topics in these blog postings. Most of them relate to Geodex very directly or our exploration programs in some shape or form. We also like to discuss broader subjects at times and today we’d like to touch on the role of junior companies in the mineral exploration industry. It is generally accepted that junior exploration companies play a key role in the global exploration industry. They may only rarely transform into mining companies, however they are a key factor in many discoveries. The junior companies do this with limited resources, be it financial, human or equipment. The success is based on factors that include a willingness to take risks, act quickly, an entrepreunial flare, use of innovative methods, eccentric genius in some cases, and simply persistence and hard work. Canadian junior companies have worked extensively around the world. They have had a lot of failures over the years. They have also had enough successes to encourage the current junior companies and shareholders to keep looking. It is always useful to remind ourselves of the successes junior companies have had over the years. Here’s a partial list, essentially the first ten (plus one) that came into my head. 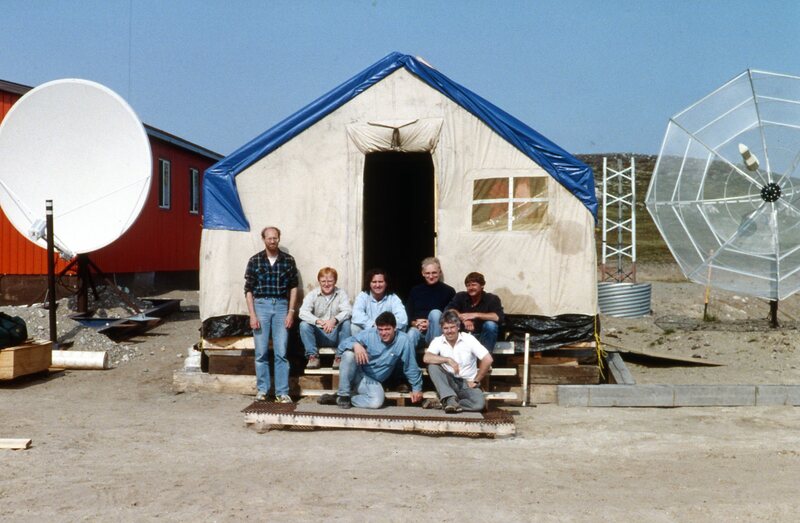 And for a little bit of fun, here’s a photo which includes myself in the Lac de Gras diamond camp circa about 1993, a bit before the Diavik diamond discovery that I had a part in. The group in the photo was part of the Rio Tinto exploration team in the beginning days of the diamond exploration. The Diavik mine has been in production for a decade now and continues to throw off healthy profits to its owners, Rio Tinto and Dominion Diamond (formerly Aber). Geodex continues to work on its projects and develop new projects, giving it and its shareholders the opportunity to add another mineral deposit to the above list.